Dr. Hagen has completed the Advanced Fellowship and Board Certification program in Anti-Aging, Regenerative, and Functional Medicine offered by the American Academy of Anti-Aging Medicine. 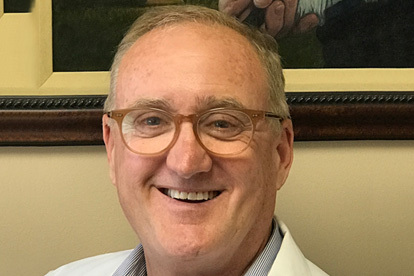 Dr. Hagen received his bachelor’s degree from the University of Tulsa and his medical degree from Des Moines Osteopathic University. He then completed his Ob/Gyn residency at St. John’s Mercy Medical Center in St. Louis, Mo. He maintains his board certification in Ob/Gyn where his career was focused for over 25 years and allowed him to deliver thousands of babies. He became dissatisfied with the conventional model of medical treatment and sought out a new approach to provide better healthcare for his patients. This led him to receiving additional training and to practice Integrative/Functional medicine. Dr. Hagen and his wife Denise live in Amery, Wisconsin with their dog Charli. They have 5 grown children and love spending time in nature hiking, biking, swimming and gardening. They both love cooking and learning new ways to live a more natural, healthy life.